← I say Kolmanskop….they said Kolmannskuppe. 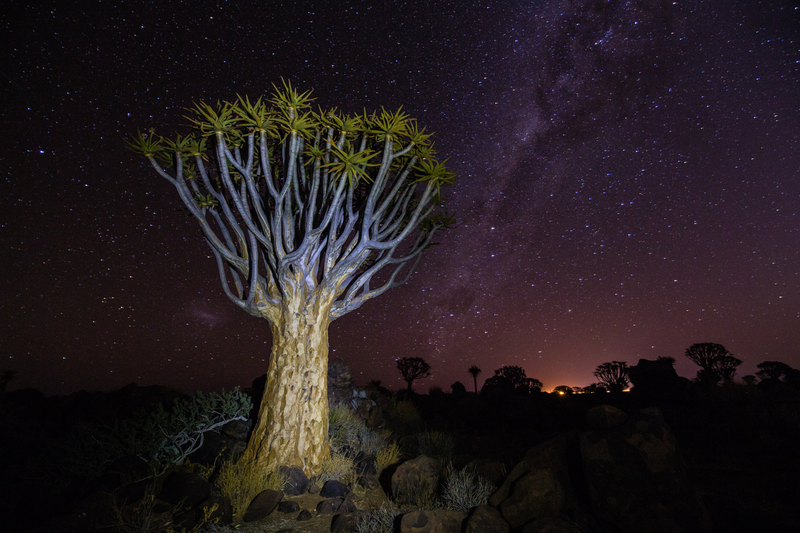 Tonight is my last night in Namibia. Tomorrow afternoon I start my long trek home. I leave Windhoek, Namibia at 4pm and fly to Johannesburg. Then it’s on to Frankfurt, Germany followed by our leap over the Atlantic to Toronto and finally home to Kansas City. Thirty-one total hours on planes or sitting in airports. Tonight I treated myself to a nice dinner at Joe’s Beerhouse. Appetizer was Smoked Kudu, followed by a garden salad and the main course was deep-fried Hake fillet. Hake is a flat fish without the fishy taste. I’ve had it several times. 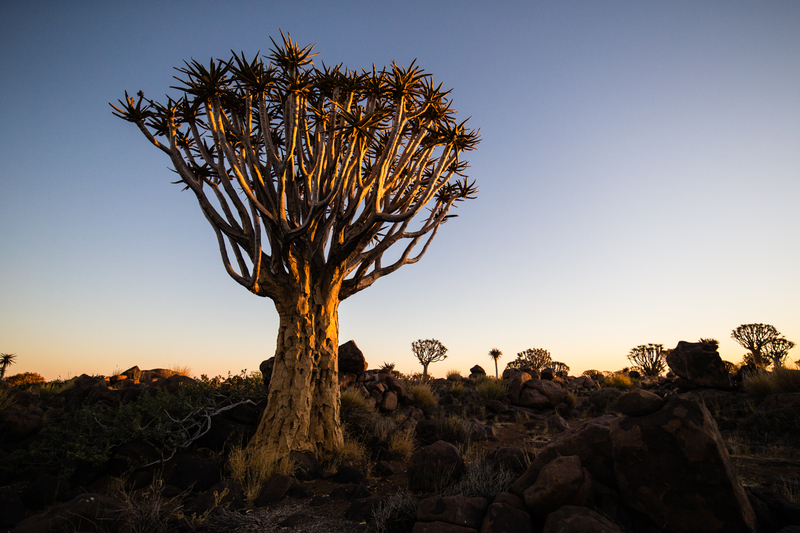 Yesterday I drove from Luderitz to Quiver Tree Forest. 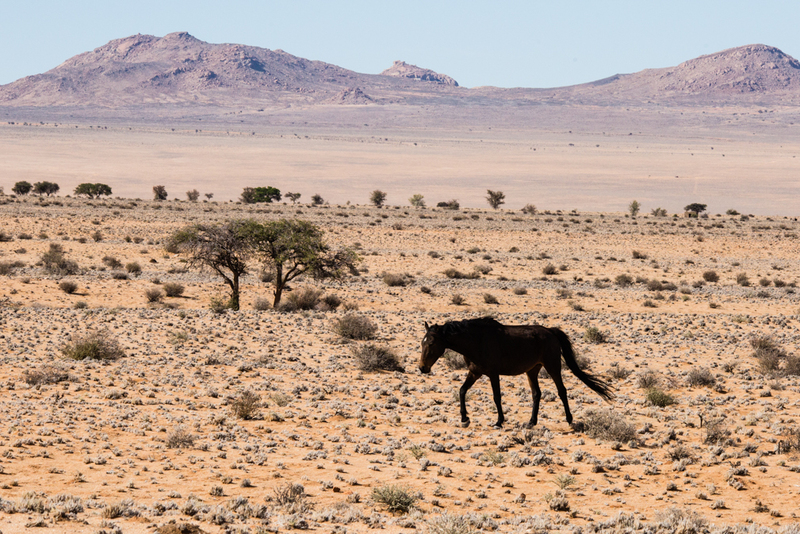 About an hour east of Luderitz is an area know for it’s feral horses. 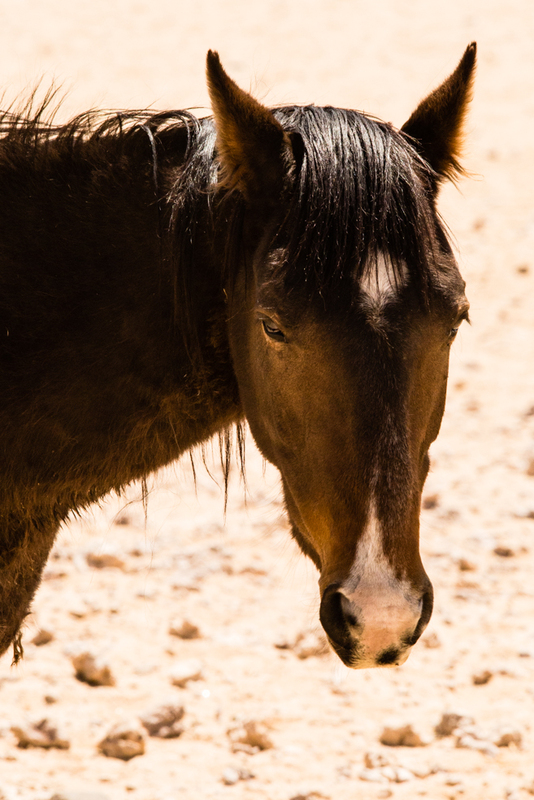 There are several theories on where these horses originated. 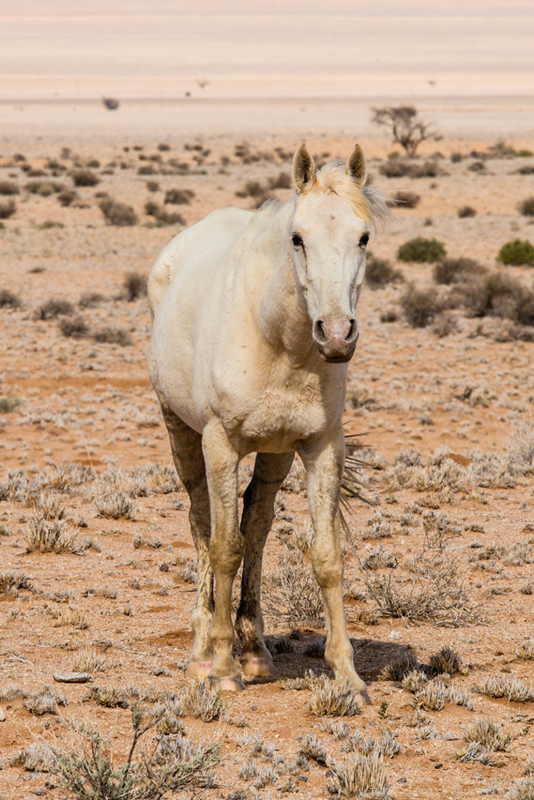 One theory is they came with the German Imperial Army in 1915…another that they came up with Nama raiders and another is that they were part of a ship-wreck of horses being taken from Europe to Australia. 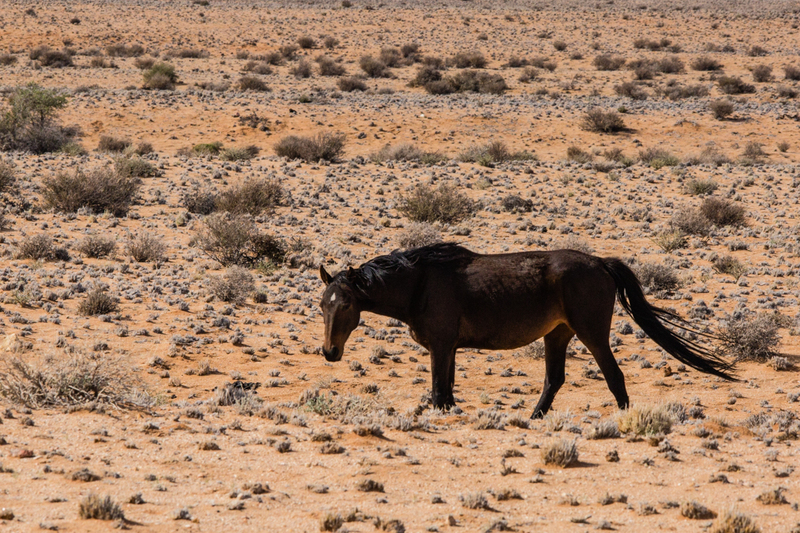 In any event, they have adapted to the harsh conditions and reportedly can go up to five days without water. There are reportedly about 100 on them living in the area. From there it was on to Quiver Tree Forest. 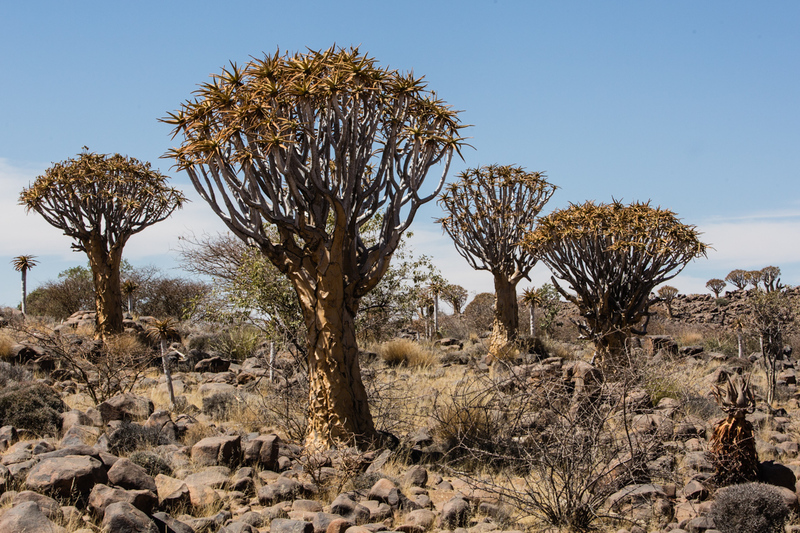 The quiver tree is also called Kokerboom. Actually, it isn’t a tree but an aloe plant. It’s up to 28′ tall and nearly 36″ wide at the base. The plants grow individually but some grow in groups and thus the term, forest. These trees are supposed to be 200-300 years old. The trees in the forest are natural. None have been planted by humans. Here are a few images from yesterday afternoon. Then last night I went out after dark to try and capture the night sky and all the stars…and paint the trees with light. This was my first attempt at this kind of photography. First the day time pictures. Today, I drove to Windhoek, the capital of Namibia. I’m staying at a hotel pension. I turned in my truck this afternoon and tomorrow I start my trip home. I still have a couple of posts to do. Hopefully, I may get that done tomorrow.